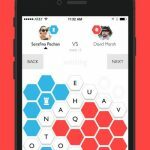 We’ve been really big on word games lately, and this one is based on a popular TV game show that, in its own way, involves word games. 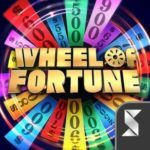 Wheel of Fortune Free Play is a new game from Scopely that you can now download for your Android or iOS device, and it does indeed come with a lot of the elements that made Wheel of Fortune such a big hit for multiple decades. 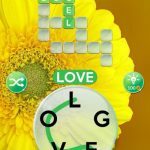 The game invites you to be a contestant on the Emmy-winning show, albeit in mobile form, as you guess the letters on word puzzles written by Wheel of Fortune’s producers themselves. You can win “cool, collectible” prizes, challenge your friends and family to play via Facebook, or challenge random players from around the world. And in case you’re wondering, the game features the show’s iconic host and letter-turner respectively, Pat Sajak and Vanna White. Those who regularly watch the game show may have an idea of what to do in order to make the most out of those puzzles and complete them in the soonest possible time. But in case you’re not a fan of the show, or simply need some tips and tricks to help you get ahead, we recommend this Wheel of Fortune Free Play strategy guide, as we’ve got all the tips you need to read before spinning that wheel and guessing those letters. As you may know if you’re familiar with Wheel of Fortune, you can buy a vowel at most points of the round. But you shouldn’t jump at the chance to buy a vowel right away. Instead, wait for a few turns, in hopes that your opponents will buy a vowel instead, thereby costing them some of the money they’ve earned, while filling in more of the puzzle to your benefit. In fact, you should try avoid buying a vowel for as long as possible, as that will allow your stash to remain untouched, and increase your chances of winning, even by a bit. 2. To Buy Or Not To Buy? Then again, there are some players who are successful enough when they buy vowels whenever the opportunity first arises. The justification is that if the wheel lands on Bankrupt, you’ll lose everything right away, so you might as well strike while the iron is hot, and buy vowels as long as you can afford it. We agree to this to a certain extent, though you’ll need to make sure you’ve got enough money in reserve to improve your chances of winning, all while crossing your fingers that you don’t spin and get bankrupt. Although the term “bonus round” suggests something optional that you shouldn’t pay much attention to, it’s actually a very important part of the game in Wheel of Fortune Free Play. Once you’ve entered the consonants and vowels the first time, you don’t have any contingency measures, and you’re left with some hints that you can use to help you win the bonus rounds; extra hints cost 150 diamonds for three of them, should you run out. Take note that if you lose a bonus round, your combo meter for that part of the game will reset, and you won’t get the rewards you can normally expect to get. 4. What Makes The Bonus Round So Important Anyway? For a clearer explanation of what’s in it for you when you play the bonus rounds, these are the rounds where you have the best chances of earning a lot of money and collecting a lot of souvenirs. You want to collect as many souvenirs as possible, because if you collect them all, you will unlock a passport, which would then allow you to unlock a new destination. By completing a second collection of them, you will get a special frame surrounding your profile, which doesn’t sound practical, but nonetheless helps spice things up. And lastly, a third collection of souvenirs would get you free diamonds, which are the game’s premium currency. Scopely wants to know what you think of the puzzles available in Wheel of Fortune Free Play. After all, they do claim that the puzzles were created by the game show’s producers. That said, the company lets you vote for puzzles once a round is complete, and you can vote up if you liked it, or vote down if you didn’t. It may sound like something insignificant and something you shouldn’t spend any time on, but we suggest that you vote up or vote down, so the game’s makers know which puzzles are the most enjoyable and the best to solve. That could make the game more challenging if it isn’t, or conversely, simplify things if the puzzles are just too complex. As a bonus tip regarding the voting system, there’s another good reason for you to vote, and that’s your daily goals. Most of the time, voting a specific number of times will be among the requirements for these goals, so don’t hesitate to make your vote count and help Scopely out. 6. Which Consonants Are The Best To Guess? The most commonly used consonants in English are the following, in order: T, N, S, H, R, D, L, and C. Normally, we get good results for the letter “S,” as it can be used to designate plural forms, though “R” and “N” are also good guesses when a round is just starting. As long as you choose some of those letters while trying to solve the puzzles, you should be in good shape in most of them. You will be given the option to change the category of the puzzle before a game starts. Doing this the first time won’t cost you anything, but subsequent category changes will force you to pay diamonds. Make sure you only take advantage of this option if you’re truly stumped, and save your diamonds as much as possible, as you may need them for the bonus rounds, or to buy certain items that will help you in the game. As we mentioned earlier, diamonds are the game’s premium currency. They are usually available via in-app purchase, though there are ways you can get more diamonds without having to pay anything. Simply connecting your game to Facebook, which also allows you to play against your contacts who also play the game, will get you 300 diamonds for free. You can also complete the free offers in the in-app store, and while some are tricky, you can complete a lot of them to get free diamonds. The game comes with two different types of goals which you can complete while playing it – daily goals and lifetime goals. The daily goals, of course, are only good for one day, and reset the next day, while lifetime goals will be around as long as you play the game. It’s the dailies that you want to focus on, as those will normally give you better and more attractive rewards in the form of diamonds. There are some lifetime goals, though, that are difficult enough to justify a big diamond prize as well. Click on “Create a new game” at the bottom and the special contestant will be at the top. I have completed my profile under the Social icon but it still has a 1 beside my frame. What am I missing? What is “fast play” and how does it work? What is “fast play”? I see it in my profile but how do I actually get to it? How could I level up in the rank of Head to Head? All our opponents are real players and not bots? What??? Your players are “real” players??? Give me a break!! If so, I would like to be one. What exactly is your definition of “real”? Are they real HUMANS??? I think you just want players to believe they are playing against real people. It can’t possibly financially responsible for you company to do this. They respond in such a timely manner. If they are real, why not operate the game like the show??? The player plays until they miss and then it moves to one of your “real” players. What is the most often “spinned” value? If i have a chance to do the vanna showcase with a few different values; which is the best and worst to go for? Is there a maximum number of diamonds that can be amassed? My bank has frozen at 1800. Barbara, is no cap on diamonds accumulated that I know of. I currently have just under 4000 built up. Patti, I’m not sure what you mean by “spin value”, but the most common consonants are S, T, R, H, N, L and C.
What good are diamonds? I have 1,200of them, what now? hello I thought the same thing a while back, but then I found the addicting tournaments!! You use the diamonds to enter the daily tournament or the 20 minutes or less tournament. The daily one totals your 3 highest games and you can win up to 2,500 diamonds. The first play is free, then it costs 50 diamonds to enter after that. They sometimes have a nickel or dime tournament. It varies as to how many winners they pay out, but average is the first 3. The 20 minute, or 50 people game you win 500 if you come in first place, 250 for second and 100 for third. 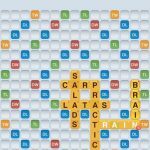 Are the points I earn in HEAD TO HEAD good for anything? How do I get club points? And how are some players getting odd number bonuses in the head to head games? In Vanna’s Showcase you can redeem words that increase your head to head winnings starting at 10% more and working up from there. Hello- can anyone tell me how to “win club gift boxes in the win streak” in the earth day challenge? Go to Vanna’s Showcase at the bottom of the main screen. The letters you won in the games fill up words in the showcase that give you rewards. You can use the letters to buy bankruptcy or loss turn protection or to increase the value of your spins. For example, if you collect SHIELD, you can buy three days protection from bankruptcy. If you land on bankrupt, the wedge flips over to a money prize. What are the 5 daily goals?? Should you complete all three stages of a city before moving on? Can you go back to a city? You can go back. It is up to you how many stages you want to complete. Stage 2 just gives you another frame, so there is no real benefit. Stage 3 gives benefits, and you can complete it multiple times; unlike stage 1 and 2 it isn’t a “complete and move on” stage. So if you are just looking for a sense of completion, you will never get it from stage 3. The fastest way to continue to advance levels is to complete stage one and move on to the next city. What do you do with the tickets? I can’t figure this out! Just looking at the Diamond leaderboard and wondering how the current leader has gone from $152 to $157m in 24 hours!!!! Its taken me weeks to get 5m and I play probably 30+ games a day. how do win a tournament? and how do get win that 50k?? When I receive gifts from the Club Box, usually there are 10 of the “gold bolts pictured within the silver wheel” that fliat up tiwards my tickets. What is this giving me.? Time reduction on the ticket countdown clock? More tickets? It really looks like I get nothing. I don’t see any change in numbers. What are the lightning bolts for from the club box and how do I use them? I’m on Rank 1 (wheel student) of the head to head challenges. When do I get the next rank? it doesn’t say what the goal is. Like how much more money I need to level up. My bar is full. Or does it depend on how many challenges I win in the head to head. It doesn’t specify in the game info. I haven’t quite figured that out. I think it is a combo of games won and winnings. There isn’t a list of ranks either. From what I’ve seen, you level up in Head to Head when a new week begins. So, if you reach the current level’s goal early in the week you will have to wait a few days until the start of the new week to be promoted to the next level. I have no idea. Maybe contact support and see if anyone there knows. The help function is pretty useless overall IMO. What’s the deal with the tickets when you get them as part of the prize box? How do you use them?